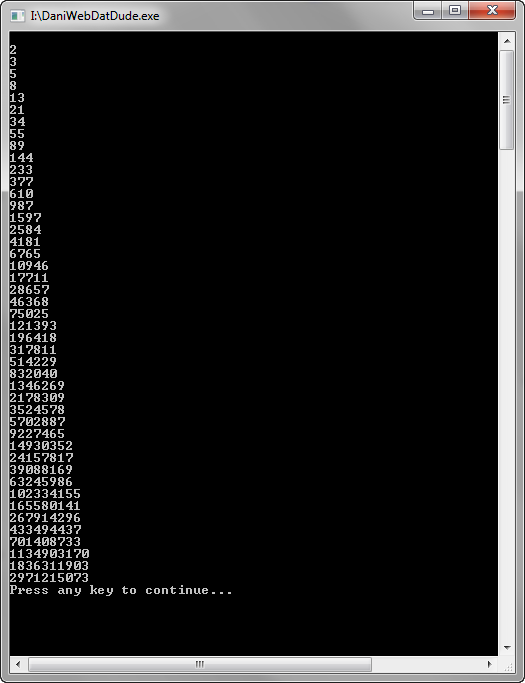 Using Programming Exercise 6 in Chapter 4 as a starting point, write a program that generates the first 47 values in the Fibonacci series, stores them in an array of doublewords, and writes the doubleword array to a disk file. You need not perform any error checking on the file inputoutput because conditional processing has not been covered yet. Your output file size should be 188 bytes because each doubleword is 4 bytes. Use debug.exe or Visual Studio to open and inspect the file contents, shown here in hexadecimal. Er, um, you are not writing what you want to write to the file! ; Writes a buffer to an output file. ; Returns: EAX = number of bytes written to the file. Next, edx is supposed to be a pointer to the buffer to write to the file NOT the filename. thank you very much man! cant believe i made that mistake on line 44 and i also didnt know that about edx so thats good to know. I made some changes and am able to get a file out of it now but it doesn't show the right answers. Any suggestions? Your Fibo algo works fine. fix that and it will write the proper file. 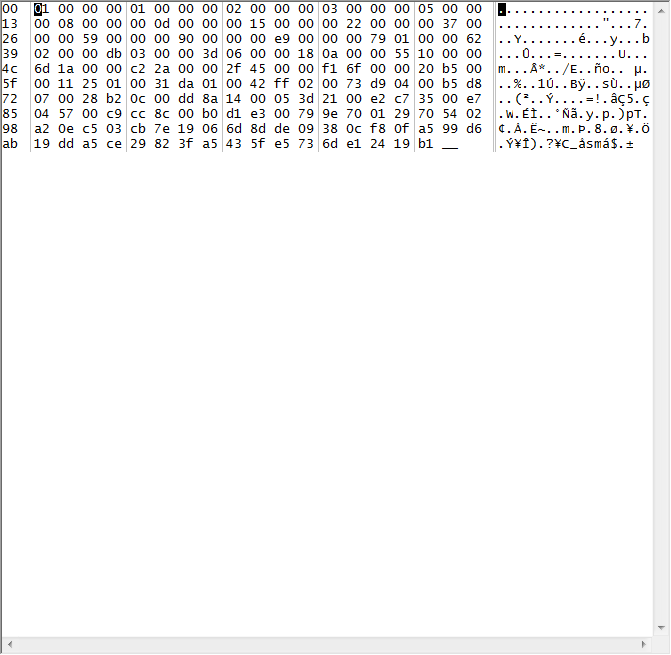 You cannot open it in notepad and get the correct results, you can open in a hex editor or what the homework says. Man am I glad you helped me out on how to write properly to the file. I literally spent almost 8 hours on just this hw problem wondering what I had done wrong in the code. I had added that pointer to the array when reading through the book thinking it would help but now i just see it was redundant in my case. Again thank you very much for your help! Problem getting C++ program to output "AMOUNT DUE"